Uftring Nissan welcomed the most prestigious award in college football to their dealership on Allen Road in Peoria this past weekend. 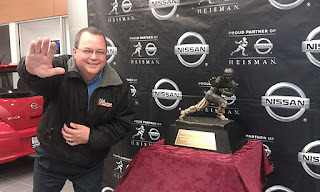 The Heisman Trophy was on display Friday, November 4th and Saturday, November 5th. 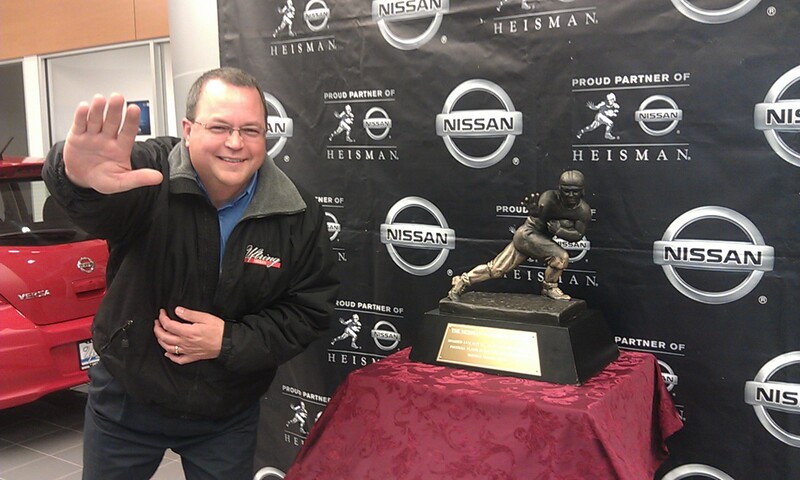 Customers, friends and fans of college football visited the dealership and posed for a photograph with The Heisman Trophy. This was the actual Heisman Trophy, made from the official mold. Since 1935, the Heisman Trophy has been awarded to the most outstanding college football player in the United States. It is a symbol of college football excellence and is the most coveted award in college sports. 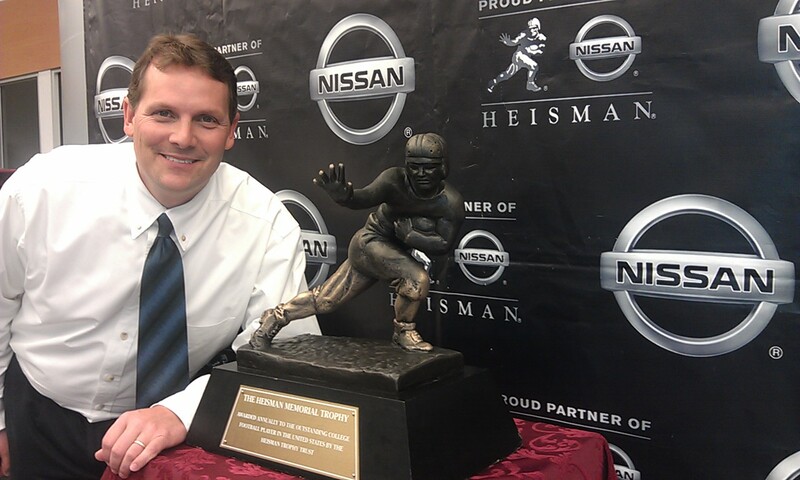 The Heisman Trophy is made out of cast bronze, is 13.5 inches tall and weighs 25 lbs. The Heisman Trophy Winner will be announced on December 10th, 2011 in New York City. Uftring Nissan is a full-service Nissan dealership located at 7400 N. Allen Road in Peoria, IL. Uftring Nissan is a member of the Uftring Auto Group, and has been serving customers from its current location since 2005. Uftring Nissan is a three-time recipient of the Nissan Owner First Award of Excellence – awarded to the top 10% of Nissan dealers nationwide.